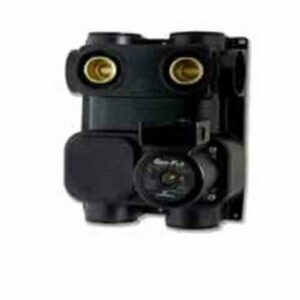 Building upon Geo-Flo’s 3-way flushing valves with Flo-Link connections, the NP series reduces installation time, and increases reliability. 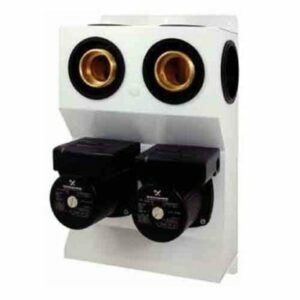 In fact, by incorporating flushing valves into the flow center, the ground loop may be flushed without adding external flush ports, saving installation time and additional cost. Plus, piping becomes much simpler. Pump selection for the new NP series is the ultimate in flexibility. 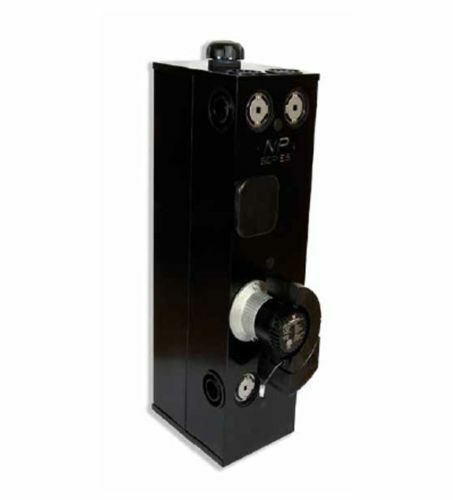 Geo-Flo is the first to use the redesigned Grundfos UPS26-99 3-speed pump. Or, the new variable speed GEO Magna may be selected for even more operating costs savings. The NP series has many installation/service-friendly features. 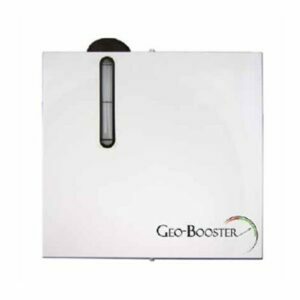 One of the best is the GEO-METER flow tool, available with a mechanical or digital flow meter. For even more flexibility, an adapter is available to use this tool with the competition’s flow center, providing a “one tool fits all” solution. In the typical application, flushing can be accomplished by simply attaching the flush cart hoses directly to the flow center. The optional bypass valves are needed when the loop header is installed in the mechanical room. However, if the loop header is outside, the bypass valves are not necessary, creating an extremely clean piping arrangement. 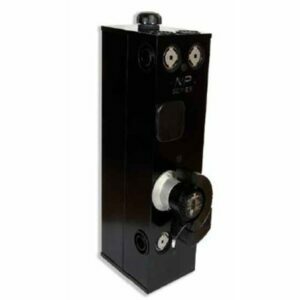 Pump replacement is greatly simplified with the 3-way valves. The top left and bottom drain valves may be rotated to isolate the pump(s). Water level is easily accessible from the top of the flow center via the specially-designed pressure relief cap. All connections to the flow center include Geo-Flo’s Flo-Link double O-ring fittings, providing reliable hand-tightened union connections.